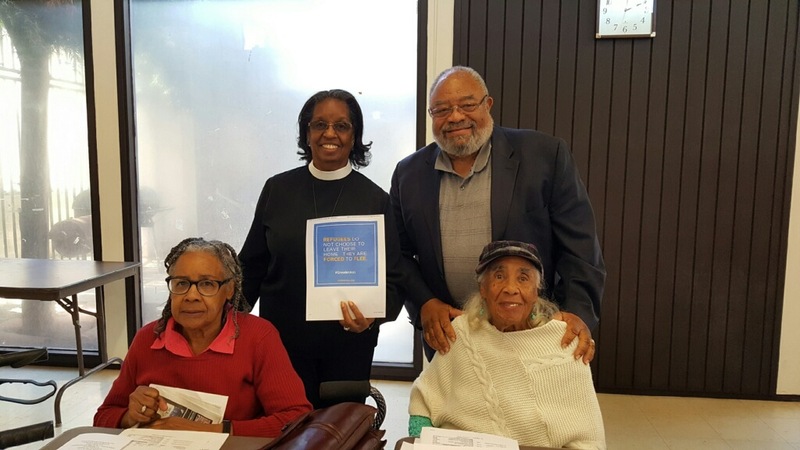 The history of the Episcopal Church in the Los Angeles area goes back to 1864, but the background to the founding of St. Barnabas was the “Great Migration” of African Americans from the South, which started at the beginning of the twentieth century. In more recent years a significant number of Afro-Caribbean immigrants to California from Latin America (especially Costa Rica and Panama) have joined St. Barnabas. The African Americans who came to the Los Angeles area did not find a ready welcome in the Episcopal churches, and on June 16, 1909, a meeting was held at the home of Mrs. Georgia Weatherton on South Fair Oaks Avenue, “to organize an Episcopal mission”, soon known as St. Barnabas Guild, according to handwritten minutes in the diocesan archives. The fledgling members supported their ministry by holding food sales. By 1911, services were being held in the Grand Army Hall on Colorado Street. St. Barnabas Church itself was founded in 1923 by eight women. Among them were Ellensteen Bevans, Rosebud Mims and Georgia Weatherton in whose home on Del Mar Street the first services were held. At times as many as 29 members were present for worship on Sunday mornings. The congregation was served at that time by a Lay Reader from All Saints Church in Pasadena and the organist from St. Philips Church in Los Angeles. During the episcopate of the Right Reverend Bertrand Stevens, missionary expansion of the diocese was given priority and the small congregation of St. Barnabas was noticed and encouraged. The St. Barnabas Congregation was admitted into union with Convention as a mission in 1932. In the early 1930s, the Dobbins family donated the present property at 1062 North Fair Oaks Avenue and Mr. and Mrs. Thomas Fleming made a gift of the current sanctuary, which was dedicated by Bishop Stevens in June 1933. The parish hall was a wood frame building already located at the site. That same year, Bishop Stevens heard of the Reverend W. Alfred Wilkins, a dynamic young African American priest in New Jersey, and sent Mr. Fleming to New York City to interview him. Fr. Wilkins came to St. Barnabas as its first resident vicar in December 1933, accompanied by his wife Lydia. Services attracted neighborhood residents, as well as family and friends of the original members, and the congregation grew. In 1943, heeding the call of his country, Fr. Wilkins joined the U.S. Army as a chaplain, and in 1944 the Rev. Alfred E. Norman became vicar, assisted by the Rev. Alfred Lealtad, a retired priest. In 1946, Fr. Norman was reassigned to St. Martin’s, Watts, and the Rev. Jesse D. Moses II became vicar. Fr. Moses concurrently served Pasadena Unified School District as its first black principal. Fr. Moses resigned in 1951, but remained keenly supportive of St. Barnabas until his death in 1999. Fr. Norman returned as vicar in 1952, and the Rev. Ivor Ottley succeeded him in 1977. Under these two dynamic priests the congregation turned two important dreams into major accomplishments. During Fr. Norman’s tenure, the congregation continued to grow and reach out to the community. Members envisioned a parish hall that would double as a community center, and began raising funds in 1962. Construction began in February 1971. In September 1972, the new buildings were completed and dedicated to the congregation and community. Souvenir booklets reveal a thriving congregation with lay readers, organist and choir directress, church school, fifteen acolytes, twelve volunteer office workers, and organizations including Altar Guild, Kitchen Guild, Men’s Guild, Boy Scout Troop 11, Episcopal Church Women, and women’s guilds of St. Mary, St. Monica, St. Elizabeth, and St. Cecilia. Fr. 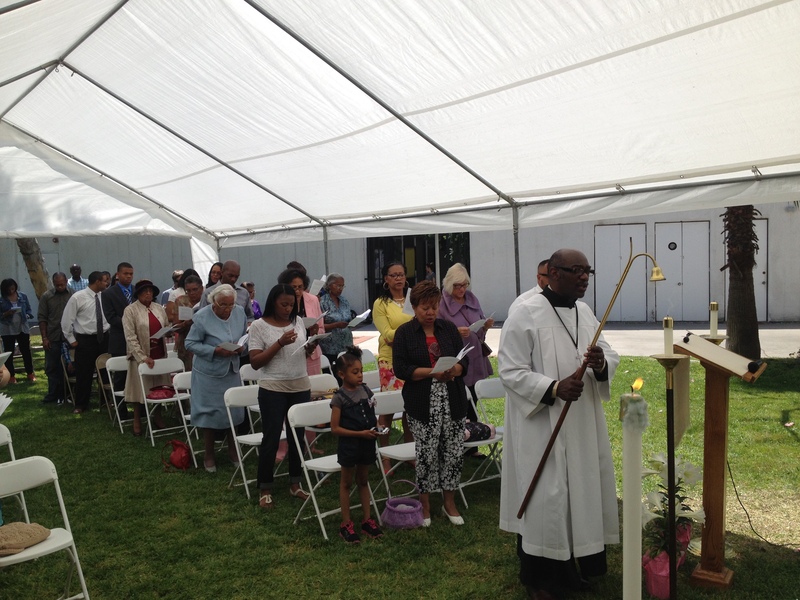 Ottley sought to provide new direction for the church, encouraging the congregation to “find its true vocation as black Episcopalians in the Diocese of Los Angeles and City of Pasadena”, according to the booklet prepared for the Diocese. The sanctuary was renovated, a new organ installed, and the 1979 Book of Common Prayer and Lift Every Voice and Sing hymnal (1st Edition) incorporated into worship. Thanks to an increased emphasis on stewardship, the church became self-supporting in 1983. In 1984, the congregation participated in a self-study and in August 1987, a report was submitted to the Diocese, identifying short- and long-range goals. Eventually, at the Bishop’s Committee meeting April 8, 1988, a motion passed unanimously to apply for Parish status. St. Barnabas was granted Parish status at the Annual Convention of the Diocese of Los Angeles in December 1988. Fr. Ottley became the first rector, and led the Parish through the next crucial years. He resigned in 1990 due to ill health and returned to his native Trinidad. After a brief interim, a parish search was completed and the Rev. Patricia Bennett was elected rector. She served from 1993 to 1995, implementing several new programs including the very successful Willard School Tutoring for neighborhood children. When Rev. Bennett became ill in 1995, Bishop Chester Talton asked the Rev. John M. Larson to be priest in charge, and when Rev. Bennett resigned in 1996, Fr. Larson remained an interim pastor. During his four and a half years as pastor, Fr. Larson encouraged the Vestry to undertake proper repairs and care of the buildings and grounds and strengthened community outreach. Fr. Larson was assisted by two clergymen, Deacon Jared Tucker and the Rev. Dr. John Goldingay. Long time Senior Warden Julian Mims was succeeded by Sue Daniels; Robert Edwards was (and is) Junior Warden. When Fr. Larson was reaching retiring age, Bishop Talton invited the Rev. Antony Glenn Miller to visit St. Barnabas with a view to becoming Rector. Fr. Miller had been born and brought up in Compton, California, but had been serving in Boston. He began his ministry at St. Barnabas in 2002. Fr. Antony emphasized hearing and living Jesus’ teaching through silence, solitude and daily prayer, and for himself visiting members of the congregation in their homes, schools and places of work. He invited the congregation to enter and leave the church through the front doors on Fair Oaks as a sign of placing our focus more intentionally outward into the community instead of turning inward onto our own churchyard, arranged for a team of us to make dinner once a month at the Union Station Homeless Services Center in Pasadena, and developed a St. Barnabas webpage. He arranged to make Bibles available in the pews, in the prayer room, and for distribution and began Bible, Listening and Prayer gatherings several times weekly. During his time the parish office was remodeled so as to serve as a Quiet Room for such gatherings, and during his time the Rev. Jamesetta Hammons became parish deacon. Ms. Susan Daniels gave up the position of Senior Warden after many years in office and Ms. Geneva Fulbright took up from her. Robert Edwards continued as Junior Warden, Jonathan Williams as Treasurer, and Paul Kaufman as minister of music. The decision-making body at St. Barnabas is the Vestry, which is chaired by the Senior Warden, appointed by the Rector. It includes the ordained ministers and twelve other members of the congregation elected by the congregation for three-year terms. The Vestry then elects the Junior Warden, the Treasurer, and the Parish Clerk or Secretary. In 2011 the congregation had to accept that it could no longer afford a full-time rector and it had to let Fr. Antony go. John Goldingay became the volunteer priest-in-charge. Not having to struggle to find a rector’s salary has meant that St. Barnabas has been able to catch up on work that had been delayed, in particular to refurbish the inside of the church and paint the outside. We have witnessed signs of new life within our midst and we have great hope that God has more to accomplish in and through St Barnabas. 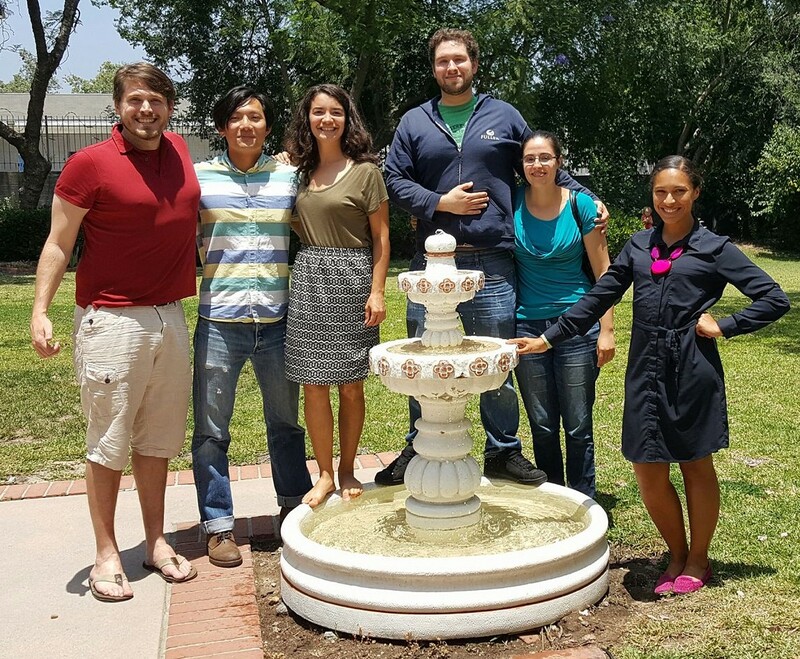 The congregation has grown to love our lenten “soup and Bible study” gatherings in Fr. John and Kathleen’s home. There are several within our congregation who are either seminary trained or are current seminarians and we value opening our pulpit to them on a regular basis. Our Parish Hall was built to be a blessing to our community. Three A.A. groups now use the parish hall (Monday, Tuesday and Wednesday evenings at 7pm), a Spanish speaking Catholic congregation uses our Chapel on Sunday afternoons and a Spanish speaking Pentecostal congregation meets in our parish hall on Friday and Sunday evenings. For most of this account of St. Barnabas’ history we are indebted to the church’s unofficial historian, Michael Mims. Michael has made an extensive collection of photographs and other memorabilia which he has put on display during the Black History Parade each year, which terminates at St. Barnabas, and in which St. Barnabas takes part. Michael has now put the material on permanent display in the parish room.